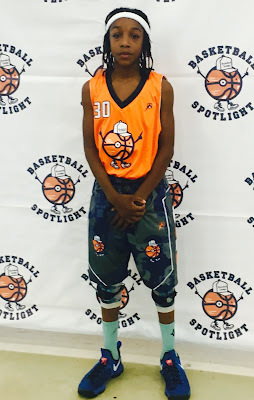 BASKETBALL SPOTLIGHT NEWS: Future Phenom Camp Highlights: Saunders Does It Again! Future Phenom Camp Highlights: Saunders Does It Again! Anthony Saunders returned to the Basketball Spotlight Future Phenom Camp and made a statement as the one of the best guards in the country. The true floor general shows leadership, skills and flair to keep your eyes on him while rocking. Check out his highlights from the Future Phenom Camp and stay tuned as we have more footage and coverage coming.